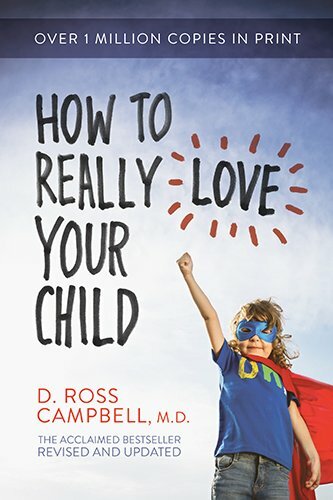 I've been reading D. Ross Campbell's classic book on parenting, How to Really Love Your Child. Campbell's premise is that a child needs unconditional love more than anything else. He tells us, "A child is the most needy person in our society, and the greatest need is love." Most parents know this intuitively, but they find it a challenge to convey their love in a way that their child can receive it. 1. Pleasant Eye Contact. We parents can get into the bad habit of giving pleasant eye contact only when our children perform well or bring us pride. This can communicate the unintended message that our love is conditioned on the child's performance and not given as a gift of grace. On the other hand, we can also fall into the habit of using eye contact primarily when we want to make a strong, negative point. We have our kids look us "straight in the eye" when we're bringing correction but get distracted and give our eye contact to our phones or the television when the kids are doing well. Campbell says, "Our ways of showing love to a child should not be controlled by our being pleased or displeased. We must show our love consistently, unwaveringly, no matter what the situation... If there is anything we don't have to worry about, it's giving a child too much love." Eye contact is pleasant when it comes with pleasant words and pleasant facial expressions, such as smiling. No matter what is going on, look your kids in the eyes and show them love. 2. Physical Contact. Studies show that most parents touch their children only when necessity demands it such as when helping them dress or buckle into their car seats. In our society, parents are rightly wary of inappropriate physical touch and abuse. But children need the emotional encouragement that comes from physical affection. Campbell writes, "I don't just mean hugging, kissing, and the like. I'm talking more broadly about any type of physical contact." As boys grow, they need wrestling, jostling, back-slapping, playful boxing, bear hugs, and high fives. As girls grow, a father may feel uncomfortable giving his daughter the affection she needs, especially when she becomes a preadolescent (about ten or eleven years old). But that's when daughters need affection most. Campbell tells us, "Fathers, we must ignore our discomfort and give our daughters what is vital to them for their entire lives." A girl gets her feminine identity primarily from her father. Dads help their daughters grow in security by showing them appropriate physical affection. 3. Focused Attention. Finally, we show unconditional love to our children through focused attention. Campbell reminds us, "It's not possible for you to take care of every obligation in your life as you would like it to be done." We know this to be true, and yet we let seemingly urgent things like texts, tweets, and phone calls to rule our time. I can find myself answering them during family dinner or while helping my daughter with her homework. But communicating unconditional love to our children requires showing them they are a priority. Consider the high regard Jesus gave to kids. The kingdom of heaven belongs to such as these (Mark 10:13-16). To show our children they matter, we must make give them our time--and make each individual child a priority. In families who have two or more children, that can be particularly difficult. Campbell described how intentional planning can pay off: "For example, on a particular day (say next Friday) one child may be invited to a party, another may be at a relative's, leaving one child free. A carful parent whose children take priority would consider this a golden opportunity to give focused attention to that child." Have you thought intentionally about these three ways of showing your children love?